Brenda Hale is the most senior woman judge in the United Kingdom. 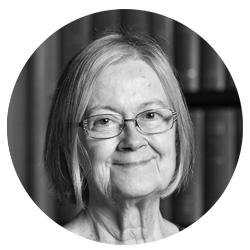 She became a High Court Judge in 1994, having taught law at the University of Manchester for 18 years and promoted reform of the law at the Law Commission for over nine. In 1999 she was promoted to the Court of Appeal and in 2004 to the appellate committee of the House of Lords, then the top court for the United Kingdom. In 2009, it became the Supreme Court of the United Kingdom, where she has been Deputy President since 2013. Her principal interests are in family, social welfare and equality law. Among her publications are Mental Health Law (6th edition forthcoming), and The Family, Law and Society: Cases and Materials (with David Pearl, Elizabeth Cooke, and Daniel Monk, 6th edition, 2009). She is President of the United Kingdom Association of Women Judges and a past President of the International Association of Women Judges.